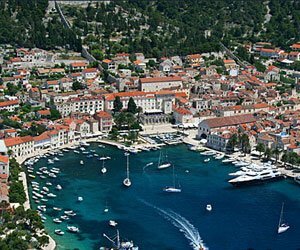 Pension is situated close the old town center, 200m to the sea, 500m to the central pebble beach and 600m to the sport center. 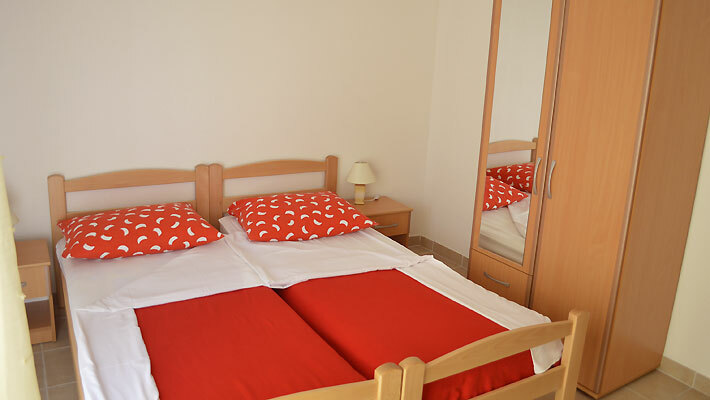 All rooms are with bathroom, air conditioned, internet access, fridge, Sat TV. 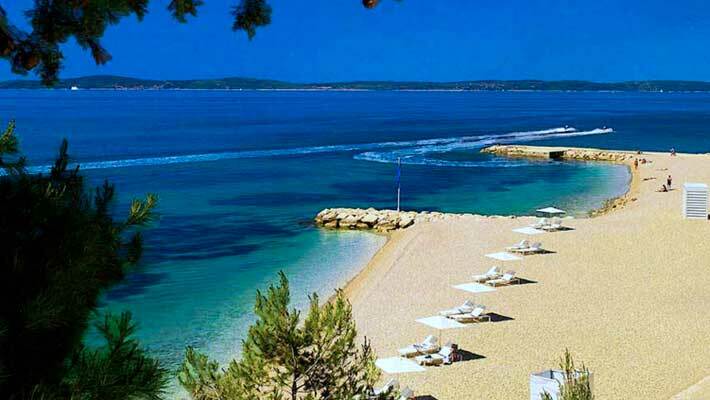 Nugal Beach, Tučepi – Nugal Beach is a famous naturist beach on the Makarska Riviera. 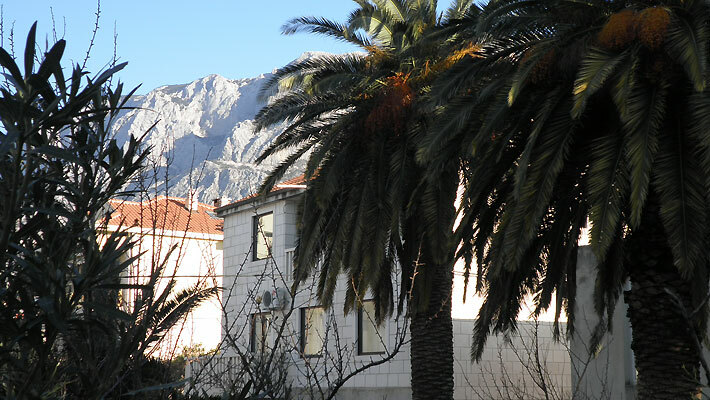 It’s located east of Makarska, not far from Tučepi. 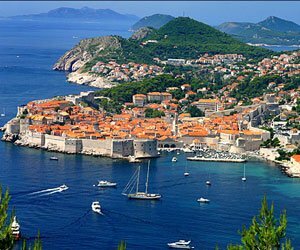 It’s hidden by steep cliffs; to get to it you need to take a stroll through a lovely pine forest. This is a piece of heaven for those who enjoy the freedom of sunbathing and bathing in the clean sea just as nature intended. Živogošće Beach, Živogošće - Olive trees and pine forests grow alongside the lovely shingle beach at Živogošće, so this beach is a great place to keep your cool and take a refreshing dip on even the hottest day. 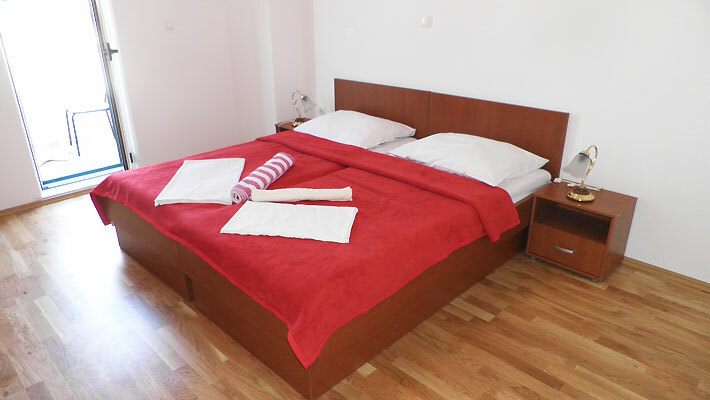 Nearby Hotel Nimfa is a good place to find something to eat and drink, and has tennis courts, an open-air swimming pool and other leisure facilities. Mala Duba Beach, Živogošće - This beach made of small white pebbles stretches through the whole village of Mala Duba at Živogošće. Part of it is reserved for naturists. This is a spectacular spot where the mountains plunge right into the sea on the idyllic, pine-fringed shoreline. 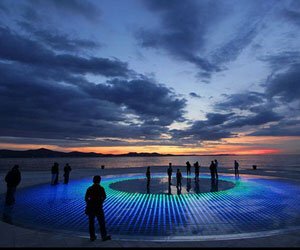 It’s a great place to enjoy an evening stroll and watch the sun go down. 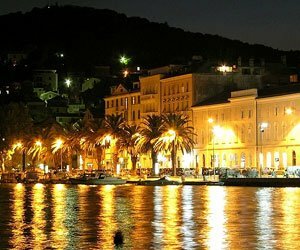 Hotel Nimfa has entertainment on summer evenings. There’s a small market where you can stock up on delicious, locally-grown fruit and vegetables. 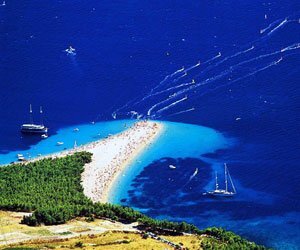 Gornja Vala Beach, Gradac - Gradac is a lively little resort with a number of hotels with discos and bars open all night. The harbour here provides perfect shelter for small vessels in bad weather. 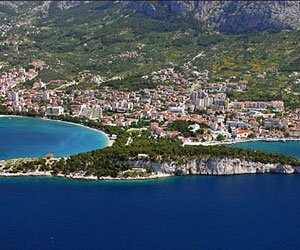 Gornja Vala beach is the longest beach on the Croatian Adriatic and one of the most famous of the Makarska Riviera’s shingle beaches. It’s located just south of the little harbour. This is a scenic spot at the foot of the mountains. Pine and olive provide shade, and there are plenty of sports facilities. There’s a small naturist beach a short distance away.